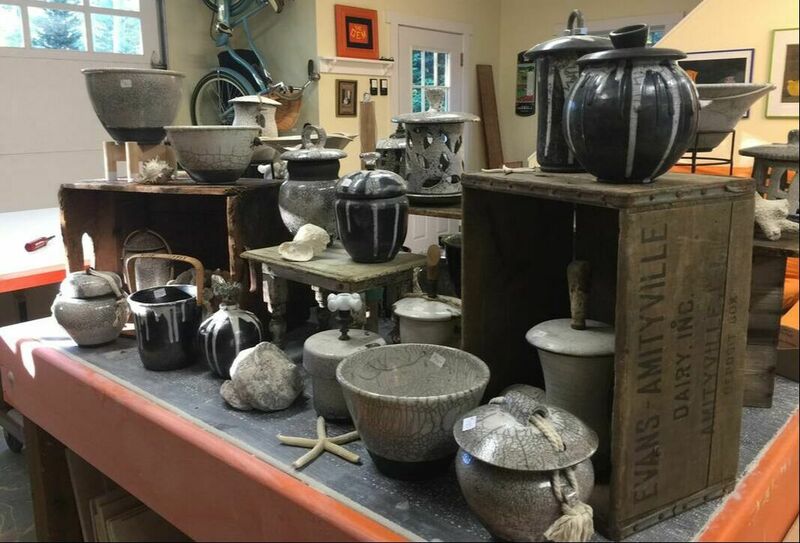 I have been enamored by the process of Raku-fired pottery since my earliest encounter with ceramics. Forming clay into refined vessels, envisioning the shape, finish, glaze, and attachments that come together in the creative thought process gives a sense of accomplishment to each piece. I’m enthralled by the spontaneity and suspense of what will be revealed from the firing and have a respectful curiosity that there is often a lack of control with Raku. Following a process does not guarantee duplicated results. This is what keeps me creating Raku pottery.